Whipped lardo bruschetta - is there a universe in which I wouldn't order lardo, in any form? I suppose not. This was wonderful... with the richness from the fat together with the saltiness from curing, and the fragrance and extra kick from the piment d'espelette. Oh, and some shaved white truffle on top to boot! Frog legs fritter provencal - a different preparation of frog legs compared to my last visit. Loved the acidity from the tomatoes. Very provençal, indeed. 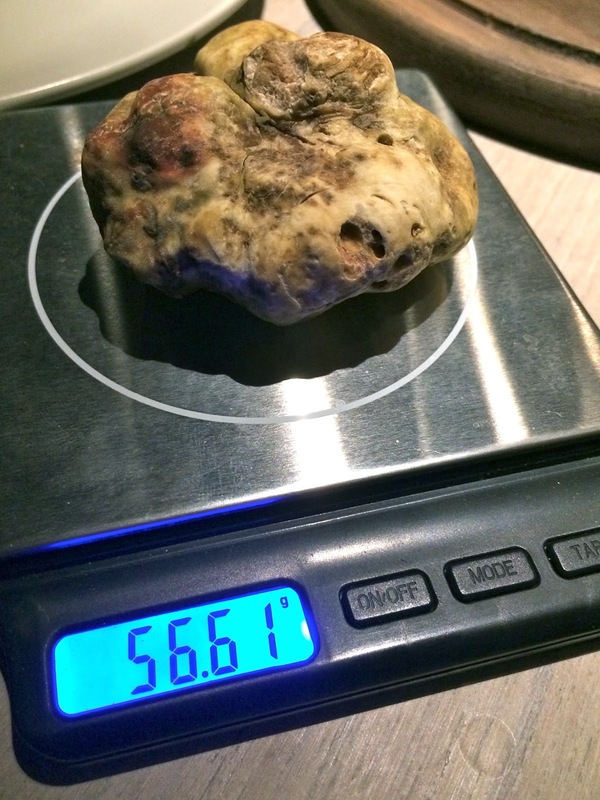 No truffle on this one. Fried egg / spinach cream / pomme puree - eggs and truffles are just like peas in a pod, but I was surprised to see a plain fried egg here instead of the usual scrambled version. But oh, man... egg plus the spinach and the truffle... Muah! Tripe gratin - loved this the last time, so I gotta have it again. Reasonably tender and still got that little kick of the tomato sauce at the end. No truffle on this, either. Bone marrow risotto - the only fail of the night. The flavors were absolutely wonderful even without the white truffle.. with chunks of rich bone marrow, and pearl onions providing some sweetness. But the rice itself was all wrong. Yes, it wasn't fully cooked or soft, but it wasn't al dente the way it was meant to be... where the exterior would start to disintegrate and the starch would start getting into the stock, and the rice would start to stick to your teeth. No, this was more like soupy rice to me. Spaghetti alla bottarga - I was advised against ordering this because it wouldn't go with the truffle, but there is no universe in which I wouldn't. In the end I shaved some truffle on top anyway. I don't think they particularly clashed, but it wasn't an amazing combination. I still wish the noodles were covered in a bit more oil instead of being so dry. Ricotta agnolotti - it's not the first time I've had agnolotti with white truffle, but it was the first time they were filled with ricotta. So full of creamy goodness, and what a beautiful combination! Pigsfeet / veal sweetbread / chanterelle ragout - David Lai sure knows how to push my buttons... lardo, bottarga, bone marrow, pig's feet... This was a wonderful hodgepodge that included celery, wood ear, carrots, pearl onions, and croûtons, in addition to the main ingredients. Of course there was also a soft-boiled egg to add even more richness to the dish. I didn't shave any truffles on top, but supposedly they went well together. Porcini - this wasn't originally part of our order, but we were told about this "special" off-menu item as we were finishing up the savory dishes... and of course we said yes. Nice, big shrooms cooked in a cast iron cocotte, along with strips of pancetta and herbs like thyme. Did we shave some fungus on top of a fungus dish? Mais, bien sûr! Vanilla ice cream - incredibly, the restaurant ran out of their salted caramel ice cream... which My Favorite Cousin and I had been looking forward to since we got here. We should have ordered it right from the start! I was actually tempted to run out to the nearest 7-11 and grab a tub of the Häagen-Dazs Salted Caramel ice cream... In the end we took their vanilla ice cream, which was still home made... because I know vanilla works with truffle, too. As I prepared to shave the truffle over the ice cream, boss lady came over and said "Let it snow!" So I did. And it was sooooooo damn good! Chocolate palette - this was good the last time, so let's try it with some white truffle, shall we? As it turns out, chocolate is waaaay too strong for white truffle. However, if you take only a smidgen of chocolate with some white truffle, that ratio would then create a magical combination that transcends both. One plus one would truly become greater than the sum of its parts. Thanks to My Favorite Cousin for figuring out the golden ratio. ...which may explain why we got the leaning canelés of NoHo... Still pretty perfect in taste and texture, just not in form. 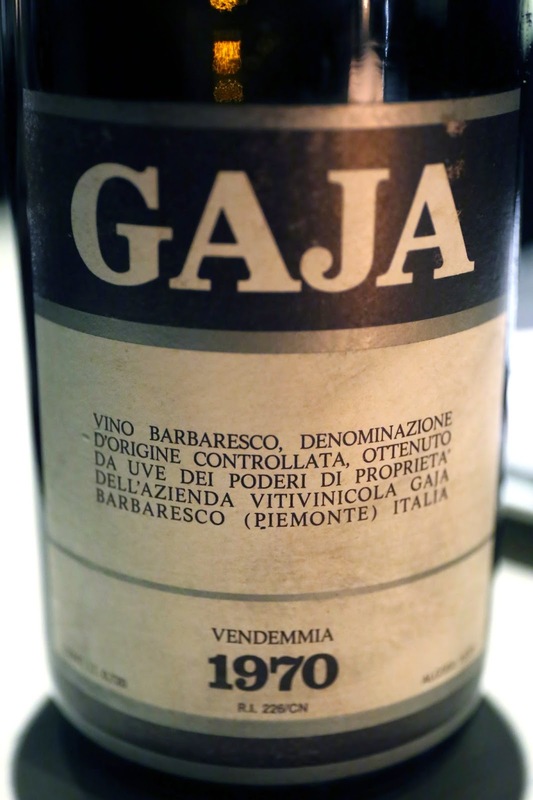 Since we were having white truffles, it was only right that we drank something from the same neighborhood... so I brought a bottle that I knew to be over-the-hill but would still complement the flavors.